Antonio's Pizza is an old-school pizzeria on Capouse Avenue in Scranton that has been in business for years. 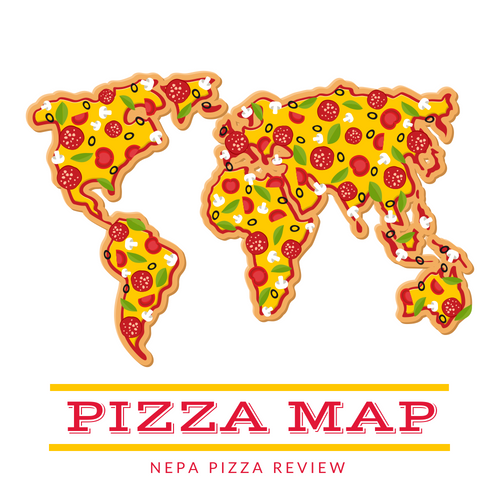 It's a place that tends to roll off people's tongues when I ask what their favorite New York style pizzas in the Scranton area are. 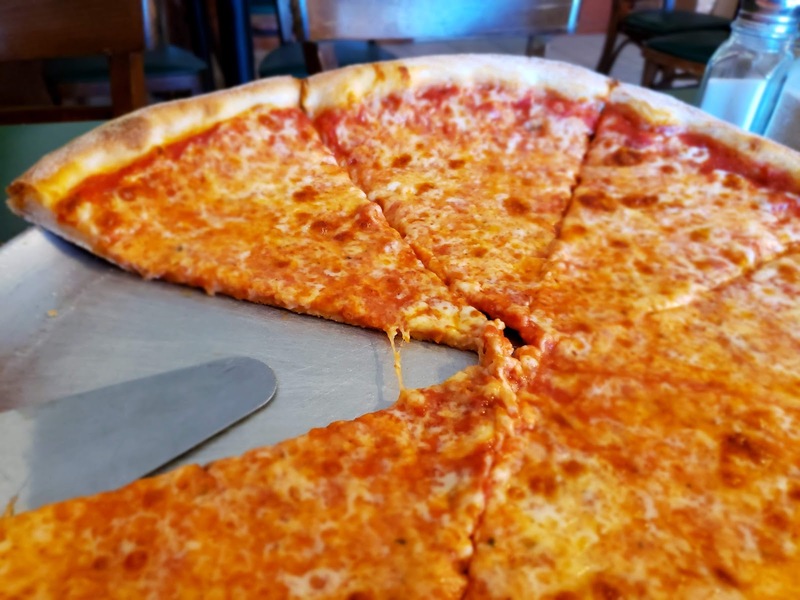 As is the case with many pizzerias that I have yet to visit, a combination of the pizza place appearing to be too busy for my fast-paced schedule, or my crazy hours preventing me getting down to Antonio's for a review. Well, 2019 is the year I cross off all of the pizzerias that I have been dying to get to but haven't so I hopped in the pizza mobile and headed to the Electric City. 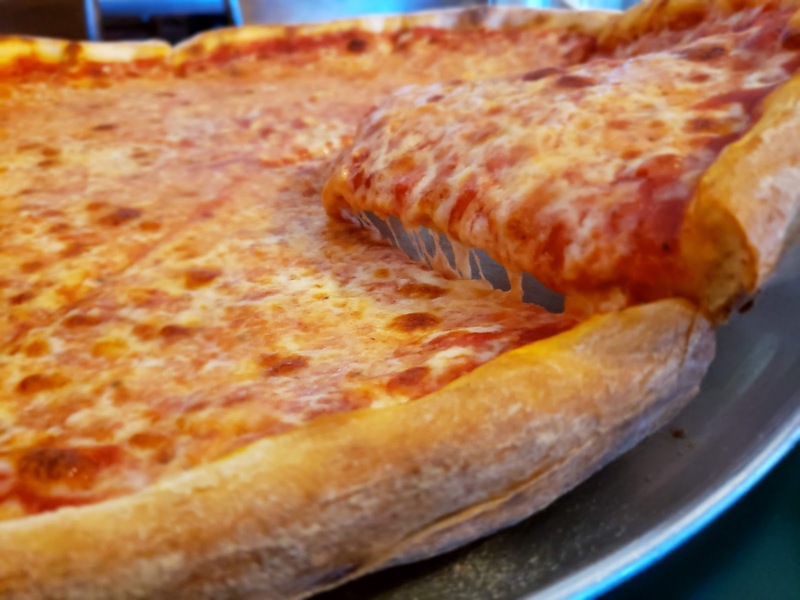 the pizzeria on Capouse Avenue is really easy to find, but not always easy to find parking. Luckily, I found a spot about a half-block away. From the outside, the pizzeria looks pretty small and if you didn't look around, you might get that impression from when you first walk in and see the counter, cash register, and kitchen only. However, one glance to the left, you will find a pretty generously-sized dining room with about a dozen tables or so. I took a look up at the menu board above the pizza ovens and noted that the menu was primarily pizza and hoagies, but what I noticed more was how reasonable the prices were. If I had a bigger appetite or was hosting company, I'd strongly consider getting a few hoagies to go. I settled on a large 16" pizza for $10.99. The better value would have been the extra large 18" pie for a dollar more, but the 16" just felt right. The friendly pizza guy took my order and told me to have a seat and they would bring the pizza out as soon as it was ready. Click to check out the BONUS VIDEO REVIEW! It wasn't long before I had a steaming hot and fresh round pie sitting in front of me. 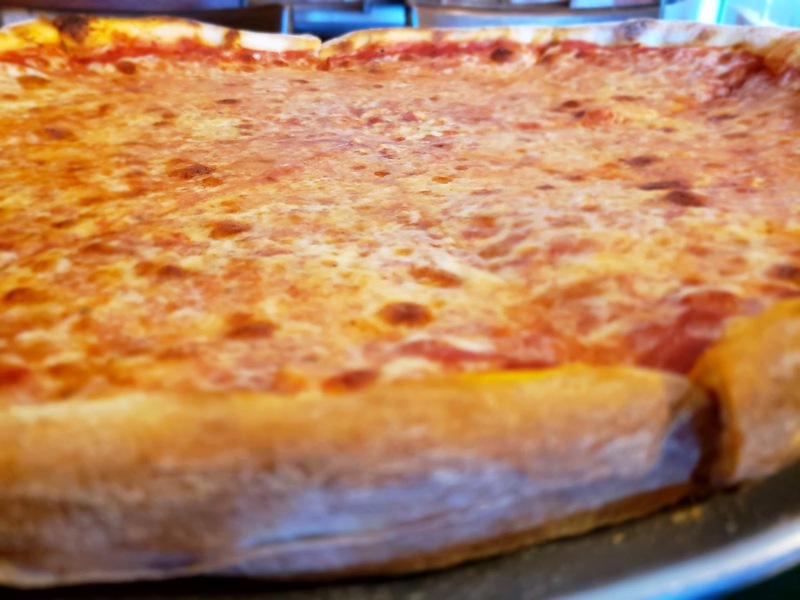 I may be from NEPA, but my all-time favorite style of pizza is a thin crust NY style, and this beautiful pizza certainly fit that mold. I wanted to give the pizza guy a standing ovation for this marvelous piece of art as it was expertly crafted with a nice crisp edge crust to grab on to, dough that was stretched evenly, ingredients which were applied uniformly, and an entire pie that was cooked to a level beyond perfection! So congrats to the pizza guy for clearly knowing what he was doing. I should have introduced myself, but that's not usually my style. I like to keep the reviews anonymous so I can provide you the readers an authentic experience similar to what you can expect as a regular customer. 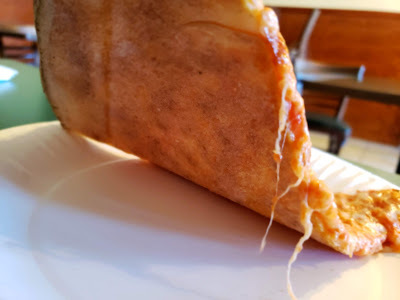 So the crust was razor thin, foldable and bendable with a serious New York flop, but the crazy thing was that although it was thin and flexible - it was still crispy! Usually you don't see a pizza this thin fresh out of the oven be as crispy as this was. 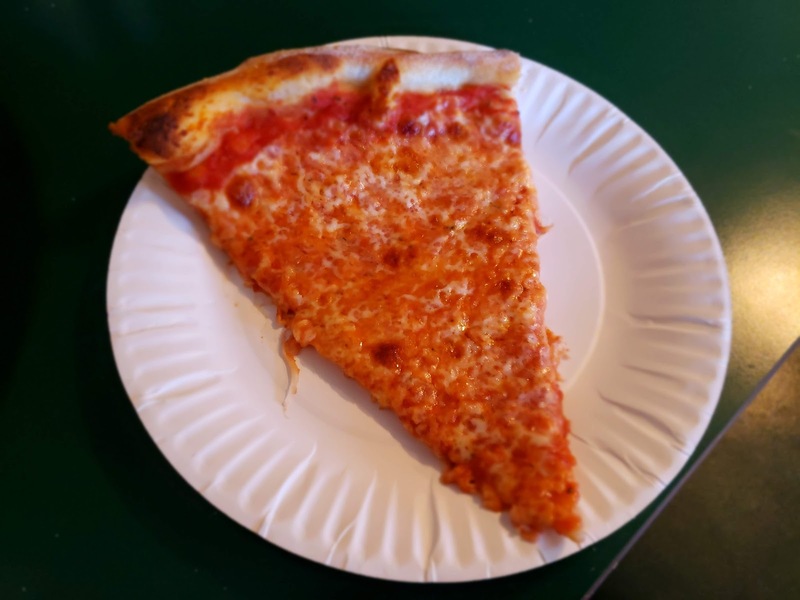 Many times a pizza like this can only be crispy when it cut into slices and reheated in the brick oven. The crust was pretty tender with just a slight bit of chewiness to it. The sauce was on the sweeter side with a somewhat unique seasoning blend that left a pleasant aftertaste. I couldn't quite put my finger on what that blend was but I'm pretty sure I caught some oregano and perhaps even a hint of rosemary providing the unique flavoring. 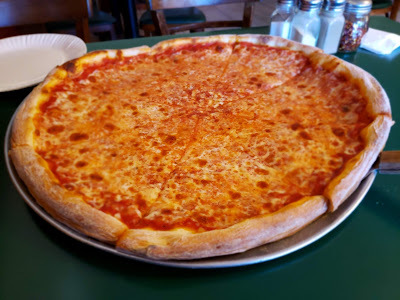 The cheese seemed to be a blend of mozzarella and cheddar based on the way that it melted and browned and the richer, slightly salty taste. The rich saltiness provided an awesome contrast to the sweet and aromatic sauce. Overall, I found this pizza to be a masterpiece. It was a pretty typical and authentic NY style round perfectly executed with a nuanced flavor profile. Overall, this was a great New York style pizza at a throwback pizzeria that is good for takeout or to dine in for a quick lunch. 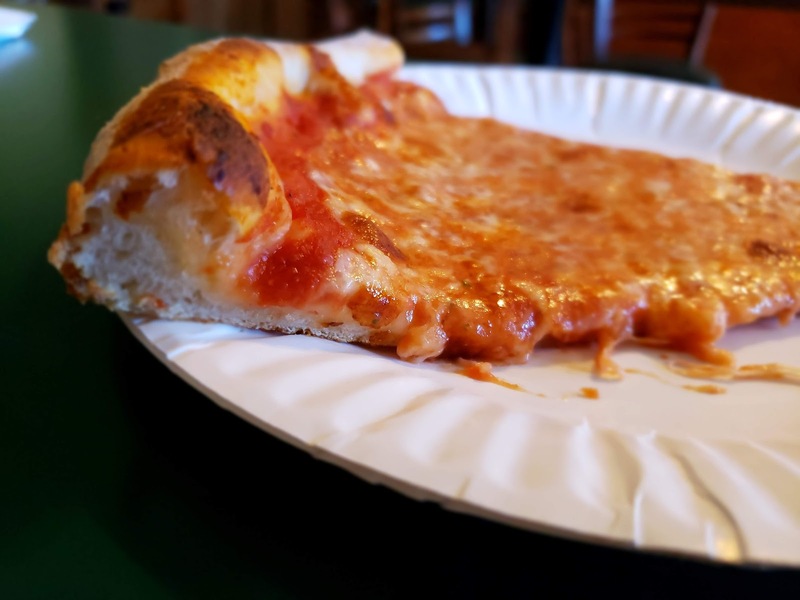 The pizza will certainly satisfy a pizza snob, but I know many kids who love Antonio's Pizza and is a staple at birthday parties and gatherings. 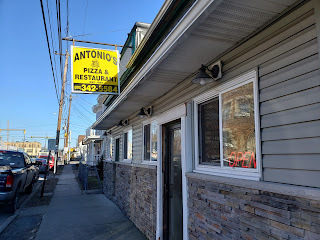 I highly recommend Antonio's to the NEPA Nation and hope that you all get a chance to get there! (Rating scores below) Have you tried Antonio's yet? Please share your experience in the comments!